Ray White Macleod has been providing first class real estate services to the Macleod area since 2008. Director, Ashleigh Lawson established the office based on his belief that there was a lack of real estate advice and service in the local area, resulting in a sluggish market not achieving its true potential in comparison to neighbouring suburbs. Now a fixture in the Village and still the only real estate office actually based in Macleod, the majority of Ashleigh’s hand picked team are local residents with an innate first hand knowledge of the local community. 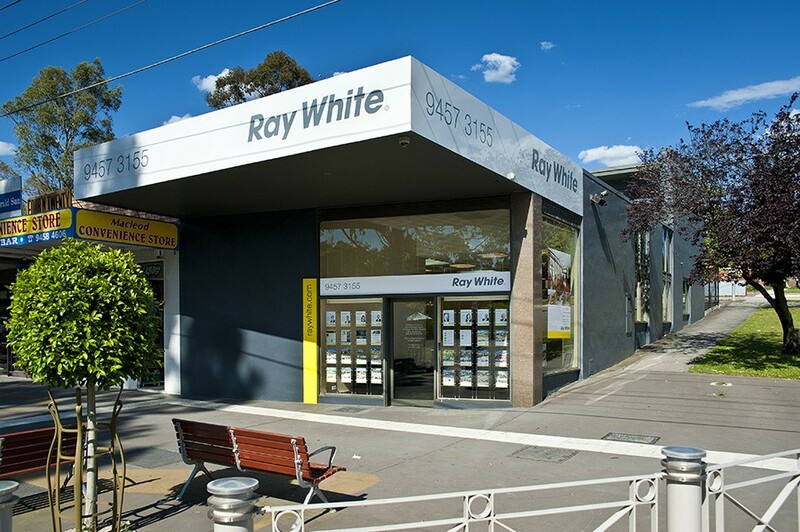 Ray White Macleod is the first choice for buyers, sellers, landlords and tenants looking to enjoy real estate success in the local area. The team deliver an unrivalled level of expertise and unwavering dedication to achieving consistently outstanding and record breaking results for their clients. Following the recent, very successful sale of my home, I would highly recommend the professional services of Brett Schembri & Ashleigh Lawson of Ray White Macleod. Ashleigh's extensive experience was obvious, and he was most appreciative and reassuring as to the potential popularity and saleability of my home. In addition, he quickly recognised my values in the process of approaching the sale, and I felt confident that these would be respected throughout as indeed they were. As leading agent, Brett was unfailingly professional, composed and confident. He cooperated fully and efficiently with the vendors advocate appointed by Ian Reid & Son. In addition, he was always punctual, relaxed and always very friendly and supportive. His reports following open for inspections were very prompt, reliable, clear and concise. His efficiency was such that I had very few reasons to call him, but his responses were immediate, clear and courteous. I noticed his very courteous and relaxed approach to prospective buyers, and found his knowledge and anticipation of the process of sale to be thorough, accurate and realistic.